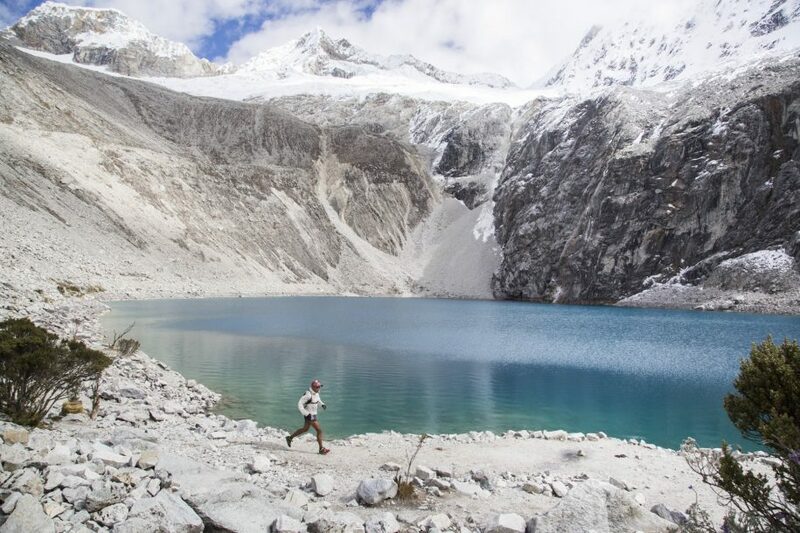 Trail or Mountain running is taking a strong hold in the Cordillera Blanca (Huascaran National Park) just outside of Huaraz. 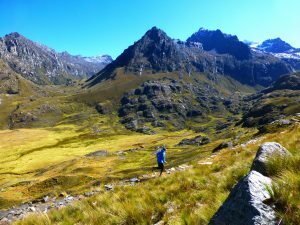 In the Southern Cordillera Blanca, the pristine Valleys (Quebradas) and farmlands lend themselves to hours of runs/hikes where one can enjoy the impressive terrain and views without the influence of the bustling city of Huaraz. In addition to training and casual runs there are organized runs from 10 km to 80 km throughout the year. Everyone acclimatizes differently at high elevation. This means that the runs you undertake will feel harder than at lower altitude and your body will need some time to adjust. While your body adjusts to running at such high elevations, we recommend hiking the uphill sections, especially with more technical terrain such as large rocks and steps, and running the flat and downhill sections. “Run when you can, hike when you can’t”. Slow and steady is the mantra for running here. Light weight running packs are ideal for this style of running. Choose one that allows for a water bladder, extra layer of light clothes, water bottles, first aid kit, flashlight and snacks. Running shoes should have a sole that works well with rocky, off-camber terrain for running both up and down hills. Llaca Lake at 4474 meters is situated at the end of the valley and is approx. 24 km in and out with an altitude gain of 824 meters from the Lazy Dog Inn. 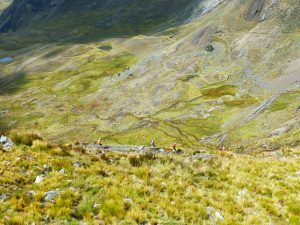 The route starts at 3650 meters from our front door and uses rocky trails, valleys and a country road. The Palcacocha Lake at 4566 meters is situated at the end of the Cojup valley and is approx. 26 km in and out with an altitude gain of 575 meters from the trail head which sits at 3900 meters. The trail head is 5 km from The Lazy Dog inn and is reached by a country road or by foot if you would like a longer run. Trail head is 10 km from the Lazy Dog Inn, which can be reached by foot on a rarely used country road or by vehicle. The long valley follows the Quilcayhuanca River and is known for its pre-Incan pictographs near the park entrance. At 4,040 meters you reach a split in the trail, to the east is Laguna Cayesh (4,500 meters) or stay to the NE Laguna Tullpacocha 4,300 (18 km from park entrance) or continue even higher to the Laguna Cuchilla 4,630 (this would be a very long day). 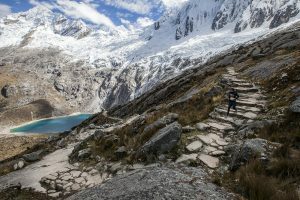 The Aguak trailhead is located 6 km from the lodge and is part of Huascaran National Park, the payoff is a peaceful lake with great views of the Cordillera Blanca. An added bonus is the adjacent ruins Wilcahuain that you can explore on your way up or down. The round-trip run is 24 km or you can take a taxi to the trailhead making it a 18 km run.